Pink Pony Design: The Loule Bag has been born! 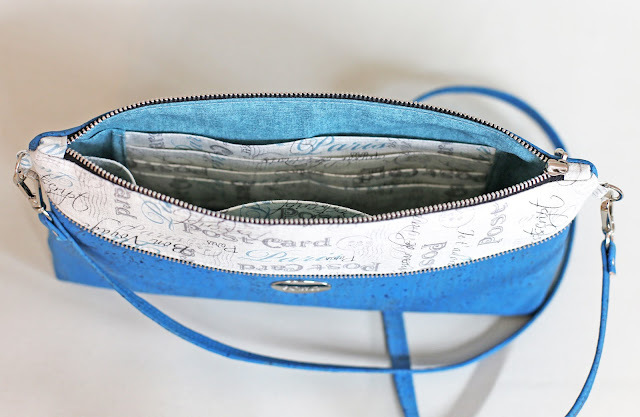 The Loule Bag has been born! When we got to Sweden after our trip to Portugal I was super inspired to use my cork fabric! I've been toying with the idea of zipper piping for a while and this finally seemed the time to do it. 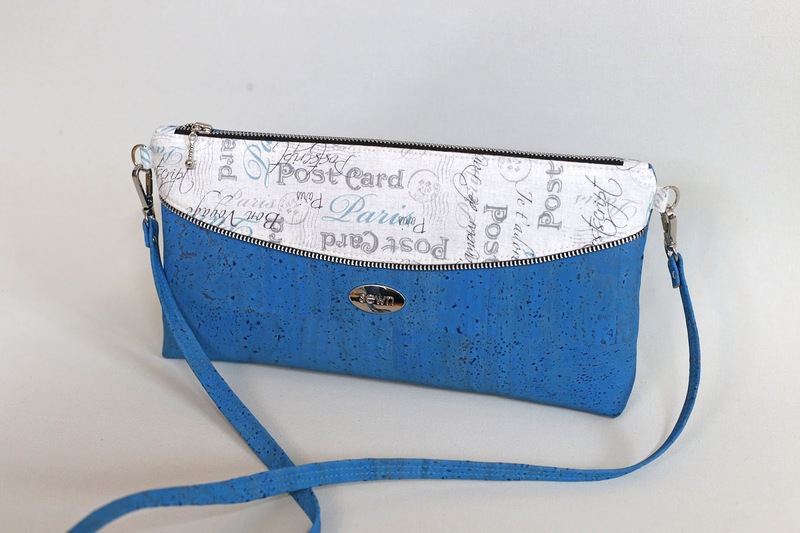 The edginess of the zipper playing so well with the classic and high end look of the cork fabric I think! I'm "unable" to carry a big bag most of the time, as I will bring everything but the kitchen sink with me - and mess up my back. So small handbags are the way to go for me most of the time and this little jewel is just perfect, the interior is super organized! 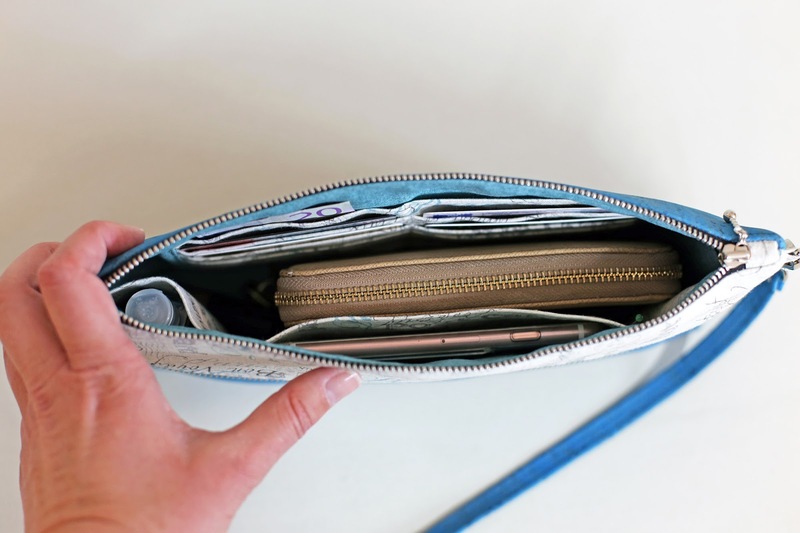 It's ~11" long and ~6" high, so it will fit a standard ladies wallet easily, but it also provides 8 card pockets as well as a number of slip pockets for everything from cellphone to lip gloss. The backside is simple, just a smooth backing so there's no risk of it getting caught in clothing. It's named after a little town in the south of Portugal, the Algarve region named Loulé. As the inspiration for it came from the beautiful cork fabric purchased in the vicinity. 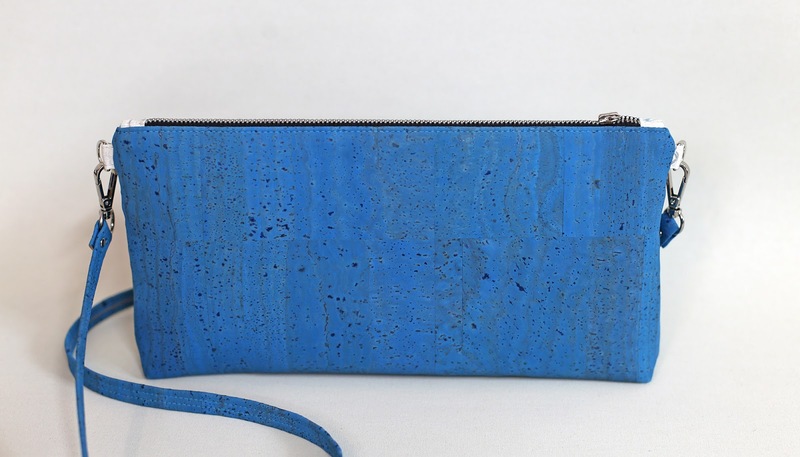 I truly LOVED working with the cork, such a beautiful and easy material to work with! Can't wait to get to use it again! I'm hoping that the pattern will be released within a month and a half.